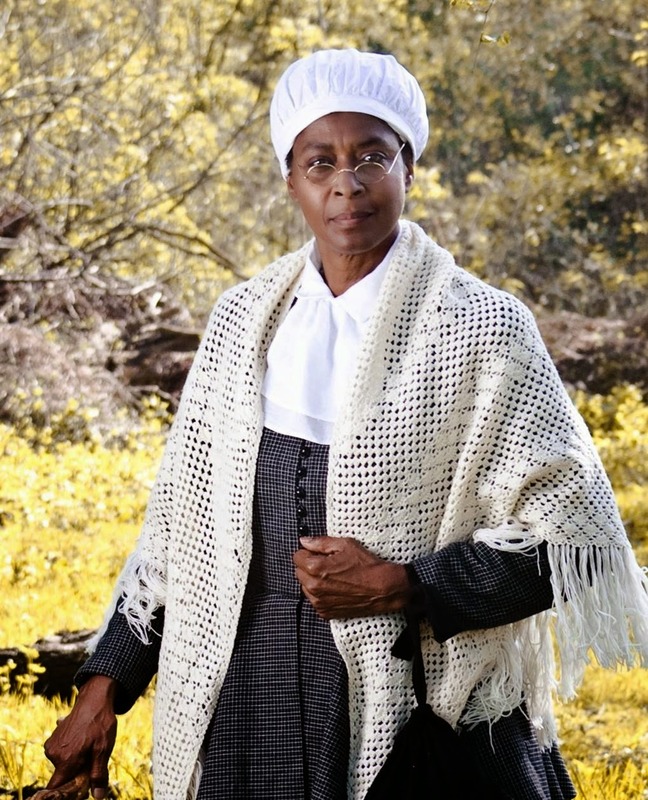 “Sojourner Truth” Travels Our Way - September 18, 2014 ~ The History Girl! She was a woman undeterred by incredible obstacles, a woman who mixed with the leading figures of her day, including Susan B. Anthony, Abraham Lincoln and Ulysses S. Grant. In 1851 Truth delivered her famous women’s rights speech "Ain’t I a Woman" in Akron, Ohio, from which Dr. Daisy Century bases her program. Almost as impressively tall as the woman she portrays, Dr. Century gives a commanding performance. She is also a gifted teacher and actor with a Ph.D. in Science Education from Temple University and inspires through her thoroughly-researched, dramatically intense portrayals.